Jenn takes the first hit in a water fight! A commissioned illustration of Jenn! Art by Joey Vegas! 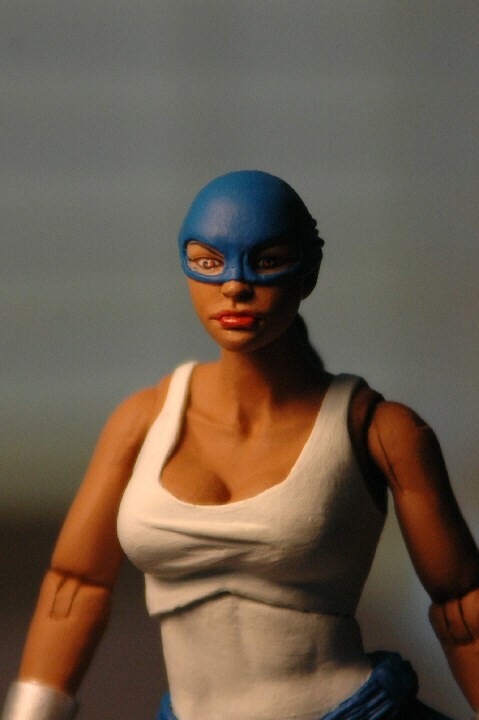 Superheroine, Sofia Pinero, a.k.a., “The Ace,” makes her debut as an action figure thanks to Pat Billings Custom Toyz! She looks fantastic as can be seen in the snapshots below! Thanks to Pat for his attention to detail and fantastic work!